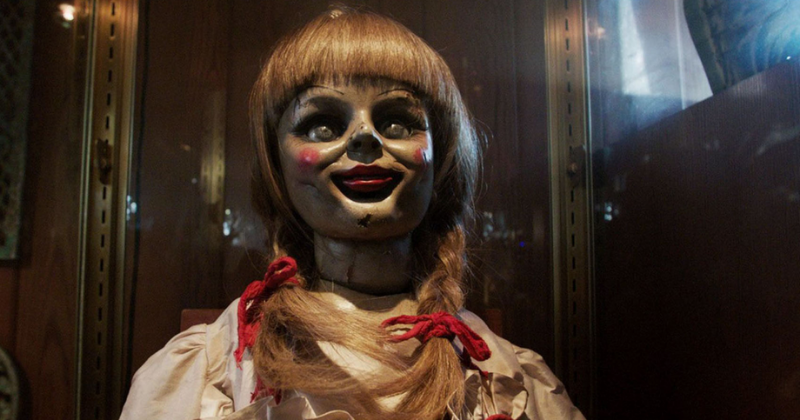 The Latest Trailer Of Annabelle Dropped And She Is Coming Home! The latest trailer from the horror franchise just dropped a trailer from the horror franchise and the trailer looks good! 'Annabelle Comes Home' s the third instalment of the hugely successful Annabelle films, starring the infamous sinister doll from The Conjuring universe, and this one tells the story of what happened when demonologists Ed and Lorraine Warren and Lorraine Warren brought the doll home o place it behind sacred and blessed glass in the locked artefacts room in their home. As the evil spirits are awakened by the possessed doll, they all set their sights on the Warrens’ young daughter Judy, her babysitter Mary Ellen and her best friend Daniella, reported DigitalSpy. The third movie is the spin-off of the horror franchise and it is also a prequel to the first Conjuring film. The question remains, when is Annabelle coming home? Peter Safran, the producer of the movie, while talking to Entertainment Tonight said, "This film starts right after the prologue of the first Conjuring," he explained. "Ed and Lorraine, they bring Annabelle home, they put her in her case. The reason they had to put her in kind of a sanctified case is that she is a beacon for other spirits." The latest Annabelle movie moves forward a year, which gives time for the haunted raggedy doll to settle down in the Warren household and it ultimately sets the prequel/threequel after 'The Conjuring 2'. Safran continued, "We cut to a year later, and she ends up activating a lot of the artefacts that are in the artefact room. It all takes place over the course of one night, involving [the Warrens'] daughter Judy, her babysitter, and the babysitter's best friend (Katie Sarife)." The movie is already on one of the must-see horror movie lists of 2019 and writer-director Gary Dauberman said, "I'm not a huge fan of horror-comedies but I love comedy in my horror if that makes sense, so I like moments of levity. So I'm leaning to that a little bit more on certain moments because I find if we hit those moments where people laugh and then get scared right away, I'd like to try and lay on that. I've been playing around with that a little bit more. And it just fits the girls, too, because they're so upbeat. That teenagers' world in a house [tone] we've been trying to capture, too. We're not going outside of the box on this one, but I think we're trying to get a little bit more, a couple more moments of levity that maybe weren't there in the first and second one. There were moments of levity, but a little bit more of that." The synopsis of the movie reads, "Determined to keep Annabelle from wreaking more havoc, paranormal investigators Ed and Lorraine Warren lock the possessed doll in the artefacts room in their house. But when the doll awakens the room's evil spirits, it soon becomes an unholy night of terror for the couple's 10-year-old daughter, her friends and their young baby sitter." The movie releases on 27 June 2019.